9:33pm–#Bridgeport CT–Tonight’s car fire was at Ellsworth Street & Bartram Avenue. Thanks Wes @ CTPost! 9:30pm–#Norwalk CT–Firefighters on the way to 15 Park Street apartment #4 for a kitchen fire. 10:58pm–#Fairfield CT– UI crews have just arrived to restore power in the Greenfield Hills section of town. #cttraffic- #ctdot– Attached is a photo from the traffic cameras. Its a screen shot so don’t click on any icons, they don’t work even in the real world. There is no image because the don’t exist. I’ve asked a number of times why they don’t work online for the last two weeks but no response. 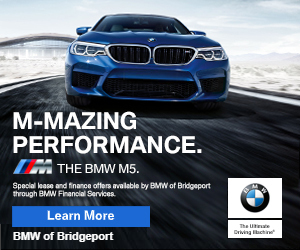 7:36pm–#Bridgeport CT– Report of a multi car crash at Main and Charron Street. Firefighters were initially dispatched to extrication but everyone was out of the vehicles upon their arrival.